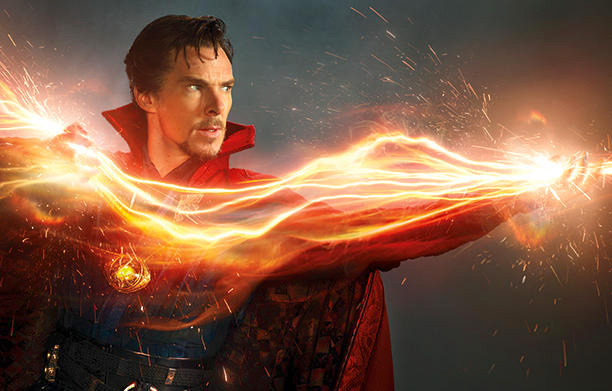 Production carries on for Marvel Studios‘ latest film, Doctor Strange, and they’ve emerged from their own Sanctum Sanctorum at Pinewood Shepperton Studios for some on-location filming in the streets of London. Below, you’ll find a new photo as well as an extended video of the scene which features Benedict Cumberbatch’s titular hero along with Chiwetel Ejiofor’s Baron Mordo. Check out the new Doctor Strange photos below! Doctor Strange also stars Tilda Swinton (Only Lovers Left Alive) as The Ancient One and Benedict Wong as Doctor Strange’s humble servant, Wong, and, in undisclosed roles, Rachel McAdams (The Vow), Michael Stuhlbarg (Pawn Sacrifice), Scott Adkins (The Bourne Ultimatum), Amy Landecker (“Transparent”), and Mads Mikkelsen (“Hannibal”). The film is scripted by Jon Spaihts (Prometheus, Passengers) and directed by Scott Derrickson (The Exorcism of Emily Rose, Deliver Us From Evil). Doctor Strange tells the story of Stephen Strange (Cumberbatch), an acclaimed neurosurgeon who uncovers the hidden world of magic and alternate dimensions after a near-fatal car accident, showing audiences corners of the Marvel Cinematic Universe never before explored. Scheduled to hit theaters November 4, 2016, Doctor Strange will continue “Phase Three” of the Marvel Cinematic Universe, which launches this May with Joe and Anthony Russo’s Captain America: Civil War.